UPDATE: 30 June 2018: Current video "Radiation from 5G antennas - a health risk?" from DW.com, with the participation of Dr. Carlos Quinto, member of the Federation of Swiss Doctors, one of the very few doctors to mention the NTP cell phone radiation studies in early March. 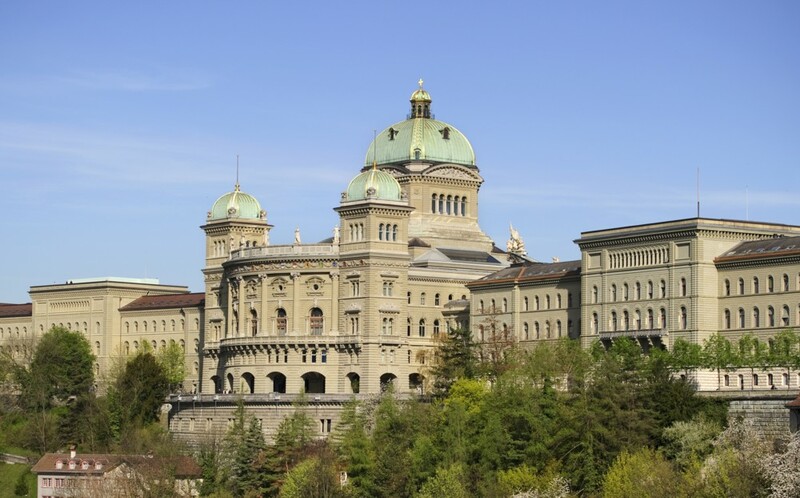 On March 5, 2018, the Council of States, Swiss Parliament, voted once again on revision of the Ordinance on Protection against Non-Ionizing Radiation (ORNI). By a vote of 22 to 21 with 2 abstentions, the Council said “no” to the Motion,“Avoiding the collapse of mobile networks and securing the country's digital future" and thus rejected an increase in the limit values for mobile phone antennas. A number of associations concerned about the effects of radiofrequency radiation on people and the environment were against the motion: Doctors for the Protection of the Environment, Federation of Swiss Doctors, Union of Swiss Farmers, HabitatDurable, Swiss Federation of Patients. and advocacy groups. During the debate prior to the vote, some of the deputies mentioned having received several hundred letters and copies of scientific studies from people concerned about health, including electrosensitive persons. The following article appeared in Migros Magazine, which has a readership of over 700,000 persons. 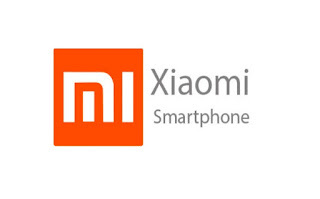 This press release contains links to the list of the 250 mobile phones to be withdrawn or updated, and the composition of the Scientific Committee of the association. RE-POSTED JUNE 2018: To date, we cannot find a finalized version of this document. The right to health and well-being is a fundamental right for all human beings. It seems to be neglected in this draft document, in the context of exposure to radiofrequency radiation. Children, with their smaller bodies, are more vulnerable to the dangers of this type of radiation and must especially be protected. The Council of Europe has issued a draft document, comments due by 4 September 2017: "Guidelines to promote, protect and fulfil children’s rights in the digital environment", applying to all children under the age of 18 in the 47 Member States of the Council of Europe. It seems to cover subjects such as child sexual abuse, bullying, protection of personal data, etc. and to promote digital education. 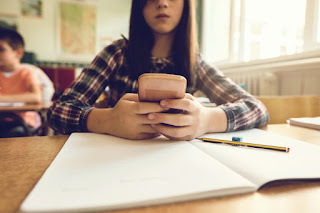 After a quick perusal of the document, we see no mention of the mental and physical risks of exposing children to the electromagnetic radiation (EMR) emitted by digital technology. The right to health and well-being is a fundamental human right that seems to be neglected in this document, in the context of EMR exposure. Swiss operator Sunrise has put the first Swiss 5G antenna into operation, only six months after setting a world record under laboratory conditions. The operator also demonstrated '5G for People' with a Huawei Wi-Fi hotspot device. For the demonstration, Huawei provided its latest 5G New Radio equipment and CPE, which enables Sunrise to be one of their first customers in Europe that can show the public the potential of 5G in an end-to-end environment, said Wang Haitao, CEO Huawei Switzerland. 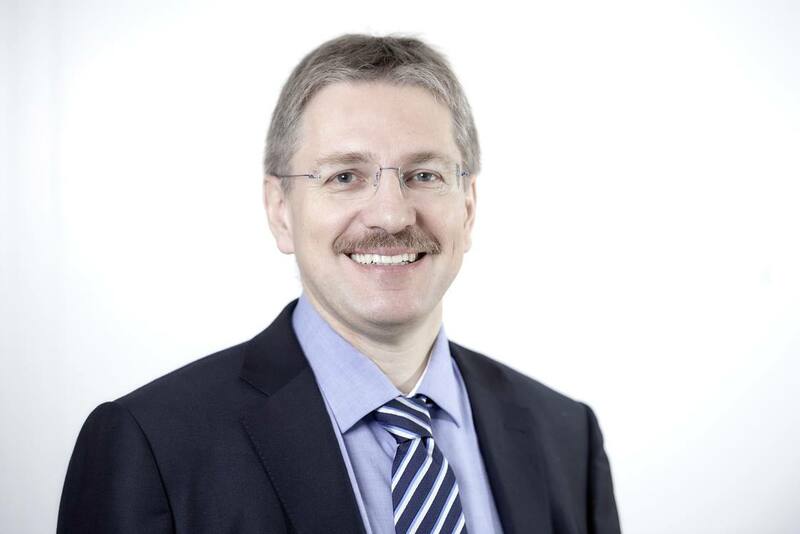 Sunrise has demonstrated the benefits of high-bandwidth connections, up to 1 Gbps, which will be available for both business and private customers as early as 2020, even without a fibre connection, said Olaf Swantee, CEO of Sunrise. No Cell Phones in School! From the start of the 2018 school year in France, the use of cell phones will be banned for students in primary and secondary schools. This is a commendable decision also taken by the Government of Rwanda; and the United Kingdom and New South Wales in Australia, are considering a ban because cell phones are a source of distraction and cyberbullying. According to the new European regulation on data protection, the age limit for using of WhatsApp has been raised from 13 to 16. This regulation governs Switzerland, as does another on the measurement of SAR (the amount of radiofrequency radiation (RFR) received by users of mobile devices) which has reduced the measuring distance between the device and the body. The measurements of the French National Frequencies Agency (ANFR) have revealed that many mobile phones exceed the limit values for the SAR trunk when tested in contact and thus, the Agency has begun to have phones withdrawn from the market or requested updates. These phones emit too much RFR when they are used or kept (in a pants pocket or bra) in contact with the skin. WORCESTER – The parents who lost their lawsuit against a Southboro private school whose wireless internet they alleged sickened their son have appealed the decision, federal court records show. The plaintiffs, identified only as “Mother” and “Father” and their son “G” in the original complaint, lost their civil action against the Fay School two weeks ago when a U.S. District Court judge rejected their last remaining claim of retaliation in the case. The family submitted a notice of appeal of that decision, as well as a previous court ruling against their case, in U.S. District Court in Worcester on Friday, according to the docket for the case. SAN FRANCISCO — The people who called into the help hotlines and domestic violence shelters said they felt as if they were going crazy. Article published November 17, 2011. Since 2011, the results of more epidemiological experimental studies have provided further evidence of carcinogenicity. Today, experts are calling for a reclassification of radiofrequency radiation from group 2B "possibly carcinogenic to humans" to 2A "probably carcinogenic" or even to group 1 "carcinogenic to humans". Contact a cell phone radiation lawyer at our firm today for a free case review. When a minister in this government stumbles on a policy that is both popular and good, it’s newsworthy. 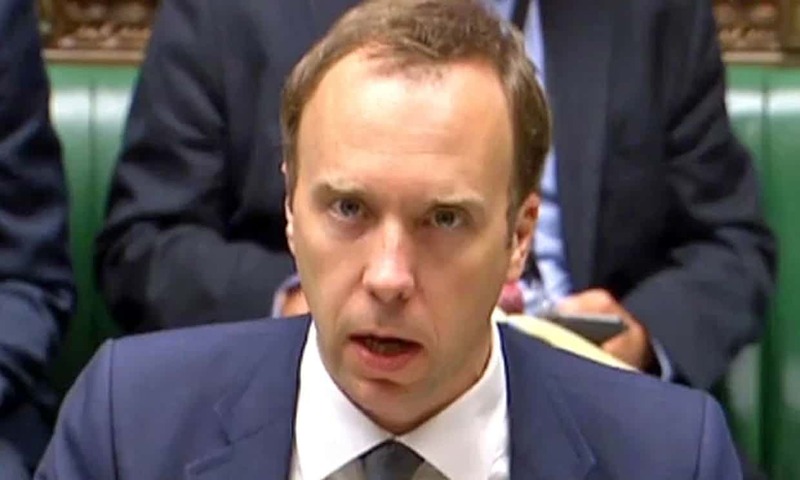 Matt Hancock, the digital minister, has suggested that schools ban the use of mobile phones by their pupils. Amanda Spielman, the head of Ofsted, agrees. In France, the Macron government has put forward legislation that will ban the use of phones in all primary and middle schools. This removes the matter from the discretion of headteachers. 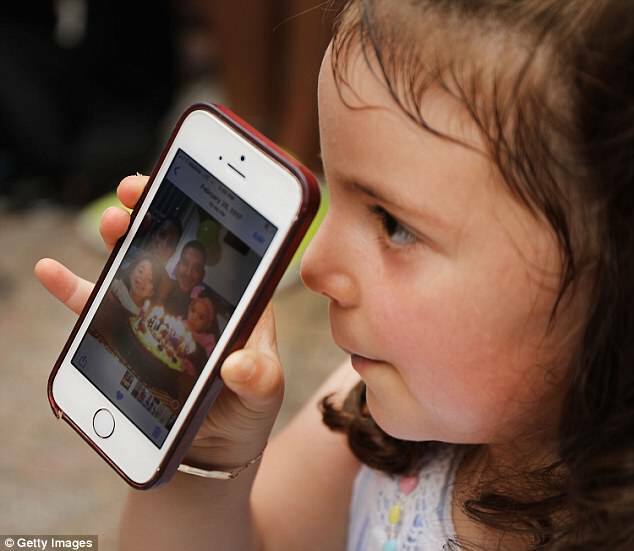 Those who have already purged their playgrounds of screens report few problems. The measure seems entirely straightforward and sensible. 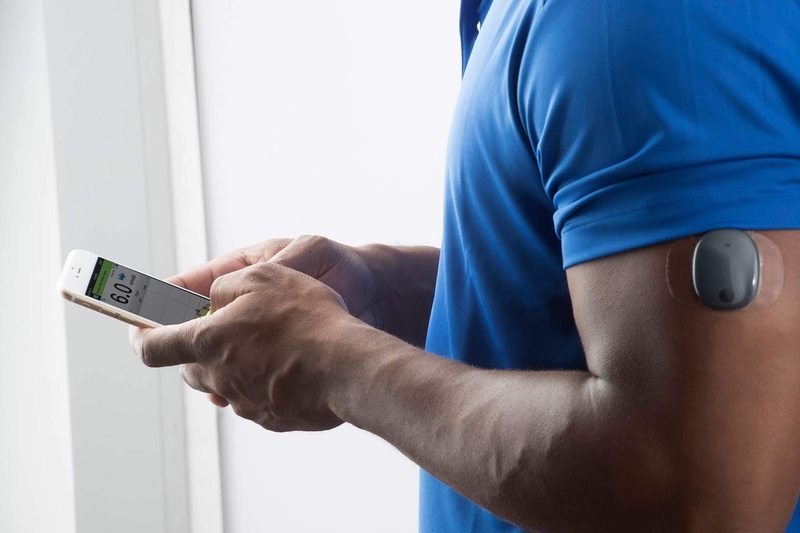 - Every five minutes, measurements are sent to a compatible mobile device (e.g., smart phone or tablet) that is running a device-specific mobile app. - This implant was approved based on clinical study data from only 125 individuals. - Potential adverse effects related to insertion, removal and wear of the sensor include allergic reaction to adhesives, bleeding, bruising, infection, pain or discomfort, scarring or skin discoloration, sensor fracture during removal, skin inflammation, thinning, discoloration or redness. Other risks associated with use of the CGM system may include hypoglycemia or hyperglycemia in cases where information provided by the device is inaccurate or where alerts are missed. 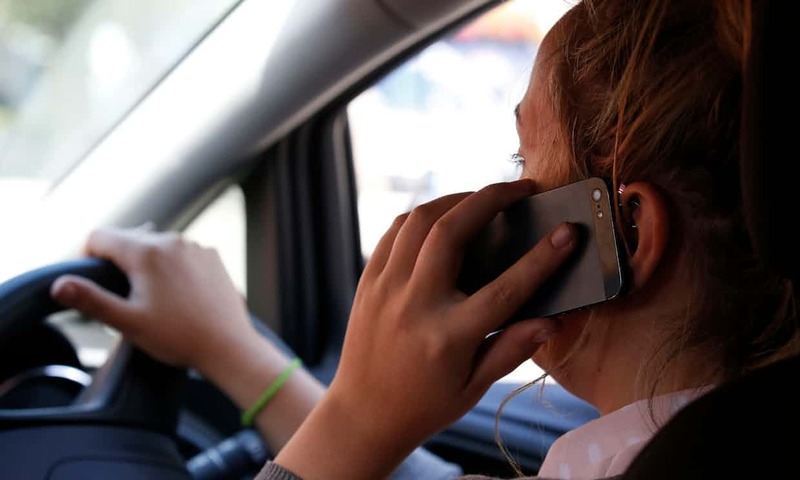 Dangerous drivers who cause death while using their mobile phones or speeding will face life in prison, ministers have confirmed. The decision to go ahead with a major extension of sentences comes after a campaign by families and a cross-party group of MPs. Drivers who kill while under the influence of drink or drugs will also face a life sentence. And there will be a new offence of causing serious injury through careless driving, as part of renewed efforts to improve road safety. 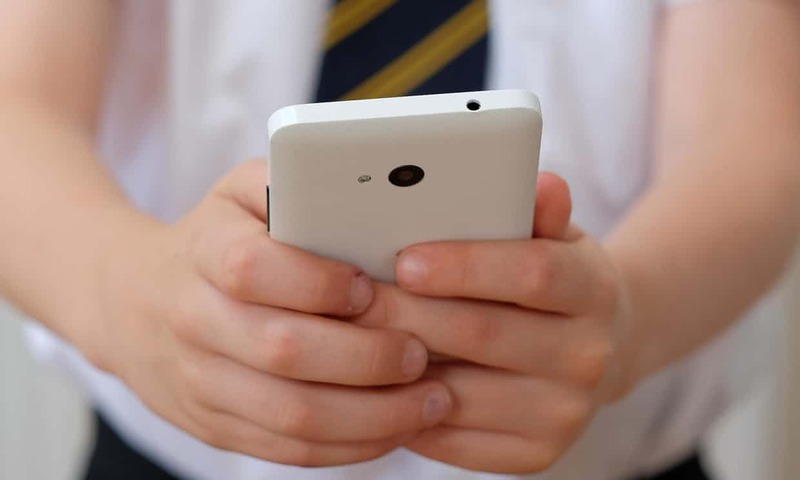 Culture Secretary Matt Hancock says that all pupils’ mobile phones should be confiscated at the start of the school day because they have a ‘real impact’ on academic achievement. When you stop to think about it, just for one second, what is truly remarkable is that this doesn’t happen already. Meanwhile, the Ofsted chief Amanda Spielman has given her full backing to schools that ban phones completely. She believes the arguments for having them in schools are ‘dubious at best’ and that they make life miserable for staff trying to teach and pupils trying to learn. Indeed. How could phones in classrooms not be anything except the most corrosive, endless distraction for all concerned? Our comment: The city of Bristol has been running the first public trials of 5G technology since March this year. 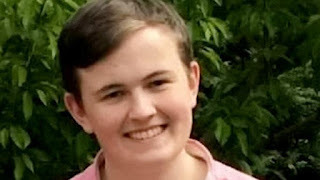 Is there a connection between exposure to this new technology and the abnormally high number of suicides at Bristol University? The university is conducting research on 5G technology. A spate of student suicides has been caused by a “cluster effect” rather than failings in pastoral care, an academic at Bristol University has said. David Gunnell, professor of epidemiology at the university and a leading authority on suicide research, said that it was his instinct that the link between the ten deaths since October 2016 was the result of a phenomenon in which one death in a community can influence another. Parents of students who killed themselves while studying at the university reacted to the suggestion with anger and distress. They argue that Bristol’s response to the deaths, including plans to spend £1 million on a programme to improve its provision of pastoral care, highlight current shortcomings. 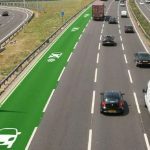 (Naturalhealth365) With most electric vehicles requiring charging every 100 to 250 miles, engineers are scrambling to find a more ‘convenient’ wireless charging options. Researchers at the University of Colorado Boulder have developed a method of “on the go” wireless charging – in which charging plates would be installed in roadways, while a start-up technology company outside Philadelphia is focusing on stationary wireless charging. Radiation from wireless systems and cell phones has already been associated with many health problems like, multiple sclerosis, cancer, infertility and cognitive problems. Natural health experts are very concerned that the high frequencies involved in wireless car charging will only add to the problem – posing a real and present danger to human health and the environment. 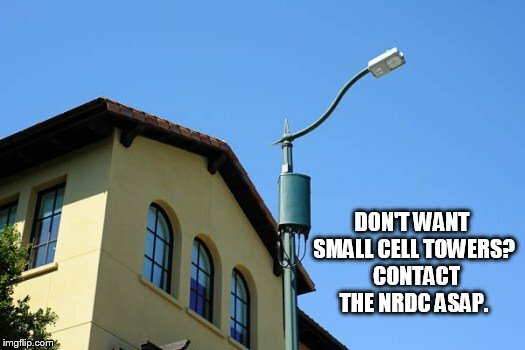 Natural Resources Defense Council Takes Action Against FCC Regarding 5G Small Cell Tower Installation — Requesting Statements From Concerned Citizens. The NRDC is challenging the legality of the March 30, 2018 Federal Communications Commission (FCC) order exempting “small wireless facilities” from environmental review. According to Arthur Firstenburg from the Cell Tower Task Force, The NRDC is requesting statements be sent to them about biological and environmental harm caused by 5G and other wireless infrastructure. These statements are necessary to sue the FCC in court and invalidate the FCC’s recent action. Statements should be emailed by July 2, 2018 to nrdcinfo@nrdc.org with “Reference Case No. 18-1135” in the subject line. 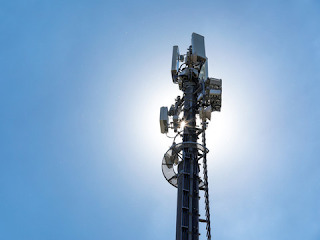 In September 2017, 180 scientists and doctors demanded a moratorium on the installation of 5G small cell tower infrastructure due to biological and environmental risks. 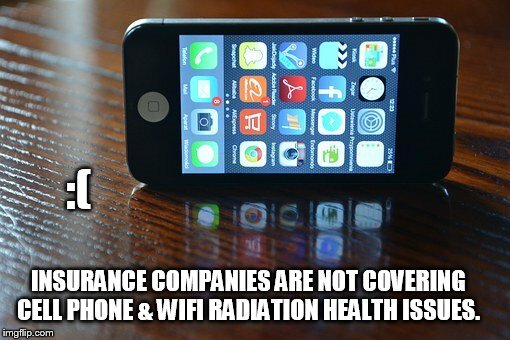 High Risk Insurer, Lloyd’s of London, won’t cover any-wireless radiation hazards. This includes cell phones, cell towers, digital and wireless utility “Smart” Meters, and other wireless devicesand infrastructure. Click here to review their policy. In addition to a potential public health issue, brands could be faced with a massive backlash, impacting consumer trust and ultimately sales. Amid the attention industry at Cannes Lions, former Google design ethicist Tristan Harris and Hearts & Science CEO Scott Hagedorn delivered a warning. We spend an average of five hours every day on mobile apps. We interact with apps about 88 times per day. That’s compared to an average of 1.4 hours of TV. We’re addicted to our phones. We need to post. We want the “likes.” And it’s all altering our brains in ways we might not be very comfortable with. In a packed session at Cannes Lions on Tuesday called “Addicted to Likes,” Omnicom’s Hearts & Science CEO Scott Hagedorn and former Google design ethicist Tristan Harris delivered a pretty dire warning to the advertising agencies, marketers, brands, tech companies, and social platforms gathered in the south of France. Society is still not aware of the health impact of technological development models at the service of industrial interests. This weekend, June 16 and 17, the 1st Scientific Conference on 5G and Health took place in Segovia. In coordination with the Stop 5G Platform, the Electro and Chemical Sensitive Association for the Right to Health organized the event. During the morning, at the former Faculty of Education, in front of some 200 people from different places, experts in electromagnetic fields and health sciences gave an overview of the implications of the excessive development of radiofrequency transmission technologies. Among the speakers were Dr. Annie Sasco, former director of epidemiology at IARC and Ceferino Maestu, director of the Bioelectromagnetism Laboratory at the Polytechnic University of Madrid. 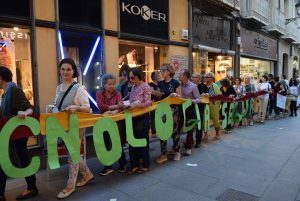 In the afternoon, a Human Chain was formed in the center of the city that ended with the reading of a Manifesto in the Plaza Mayor. The Human Chain wore a woven scarf 300 meters long symbolizing the balance between the traditional and the modern through the safe use of technology. At the end of the tour, shoes were placed on the ground as a reminder of those affected who for health or economic reasons could not attend. Dafna Tachover Michigan House Energy Policy Testimony 05/29/18 5G - 38 mn. Outstanding testimony on the health effects of electromagnetic radiation and 5G by attorney Dafna Tachover, founder of We Are the Evidence. 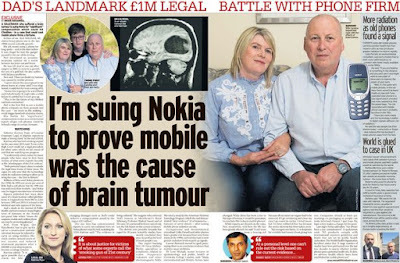 The association intends to expose the suppressed epidemic of sickness, suffering and human rights crisis created by wireless technology radiation; elevate the voice of those injured; defend and secure their rights and compel society and governments to take corrective actions and inform the public of the harm, through education, lobbying and legal action. Exactly How The New "5G" EMFs Will Make Us Sick with Dr. Jack Kruse (Electrosmog Rx free preview) - by Nick Pineault - 14 June 2018 - 76 mn. This interview is part of a bonus interview series that are available to paid members of the Electrosmog Rx EMF course for health practitioners I've put together in collaboration with amazing pioneers in health. See http://electrosmogrx.com/ to learn how to add EMFs to your functional medicine practice. Hancock told the Guardian last week that he does not allow his children to have their own phones or to use social media, but dismissed the idea of legislating to stop their use in schools. The culture secretary has called on more schools to ban mobile phones. Matt Hancock said he admired those headteachers who did not allow their use during the school day and linked social media use with the problem of bullying among young children. And, he returned to the subject in an article for Wednesday’s Daily Telegraph, in which he put the onus on headteachers. 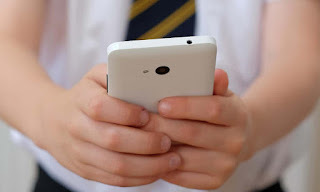 The Ministry of Education says that no more primary and secondary schools students will be allowed to own or use a mobile telephone at school, citing distraction. 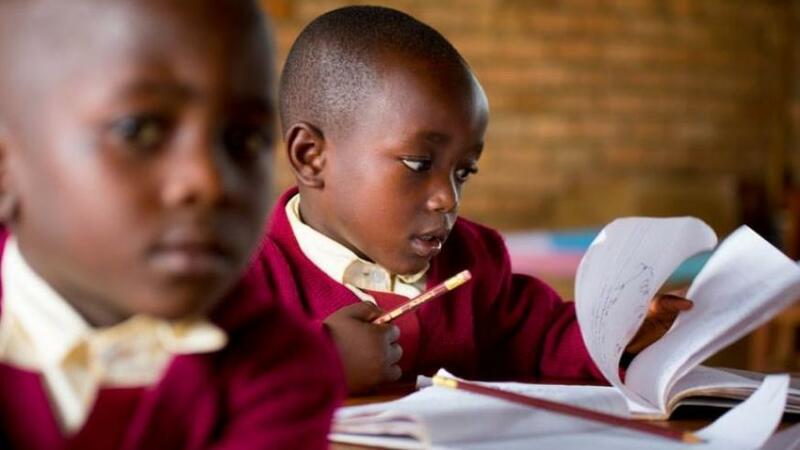 The measure was announced Thursday in a post-cabinet press conference held at the Prime Minister’s office in Kimihurura, that discussed the need for improvement in the use of ICT devices in primary and secondary schools putting emphasis on banning cell phones and developing mechanisms to ensure compliance. Education minister Dr Eugène Mutimura noted that students should only concentrate on their education and observe discipline while in school. “Mobile telephones distract students and can tempt them into lead them to various consequences,” said Mutimura during the press briefing. 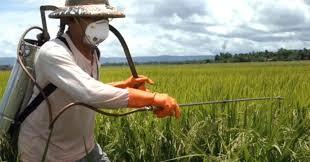 Johnson used the chemical 20 to 30 times per year. 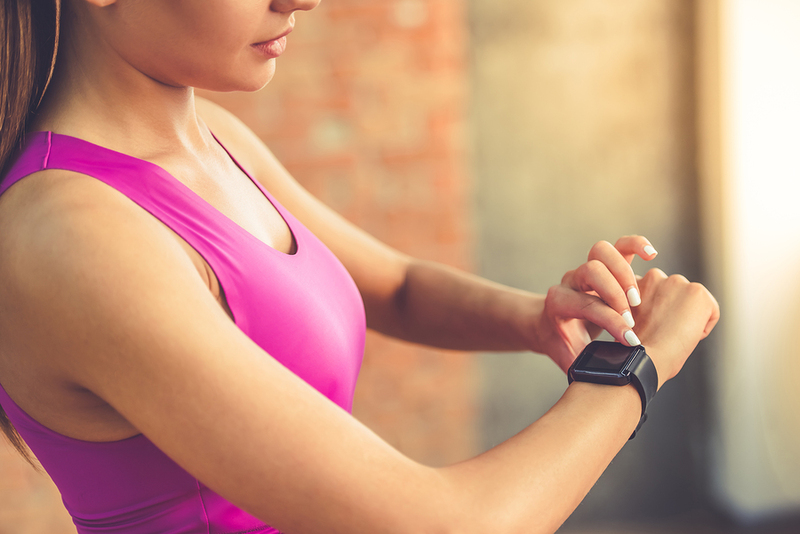 Judging by the ubiquity of Fitbits – those faceless watches nearly every woman wears today, with or without their active wear – this activity tracker has got to be the most popular fitness item. It uses WiFi (radiation) to track people’s every step and movement, how many calories burned, miles walked, and even tells time. This information also beams out to a personal account where the user can log-in and add more health stats in order to watch goal progression. 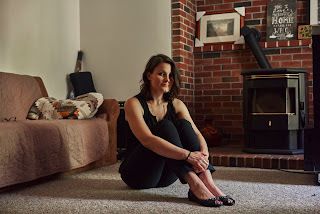 A COMPELLING ARTICLE LINKS MYSTERIOUS EMF-RELATED SYMPTOMS LIKE RASHES, ERRATIC PULSE, NAUSEA, PAIN, HEADACHES AND DIZZINESS TO FITBIT. "It's something to do with the environment"... These environmental factors could include changes in the education system and media environment, nutrition, reading less and being online more, Rogeberg said. 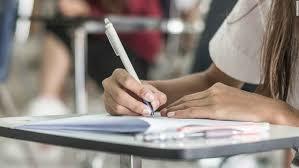 (CNN)IQ scores have been steadily falling for the past few decades, and environmental factors are to blame, a new study says. The research suggests that genes aren't what's driving the decline in IQ scores, according to the study, published Monday. Received 22 September 2017, Revised 20 January 2018, Accepted 23 January 2018, Available online 21 March 2018. 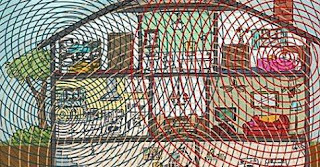 • 7 effects have each been repeatedly reported following Wi-Fi & other EMF exposures. • testis/sperm dysfunct; Neuropsych; DNA impact; hormone change; Ca2+ rise. • Wi-Fi is thought to act via voltage-gated calcium channel activation. 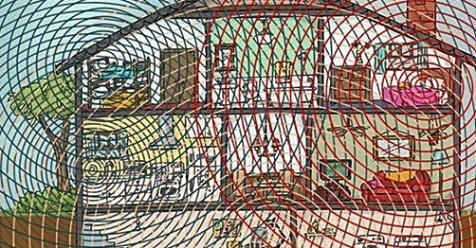 • One claim of no Wi-Fi effects was found to be deeply flawed. It's now a familiar sight at most dinner tables - every member of the party texting or reading, lost in a digital world instead of having real-world conversations. Staring at the screen isn't just rude, it stops you from savouring the meal. And constantly checking your smartphone isn't just distracting, it could actually have an effect on your health, both mental and physical. Most Indians are tied to their screens though they probably don't see the extent of their dependence. 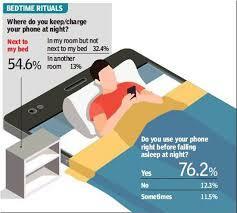 About 45 per cent of respondents to a recent survey by TOI said they spent more than four hours a day on their phones. If you take away seven hours of sleep and seven hours at a job, that's almost 40 per cent of your free time spent on a phone. As many as 76 per cent say their phone is the last thing they check just before they go to bed. It's also the first thing 53 per cent of respondents look at in the morning, even before they use the toilet or brush their teeth. Close to 55,000 readers participated in the TOI survey conducted online. 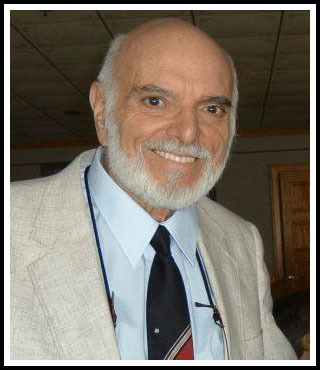 Dr. Martin Blank, Ph.D, who made many lasting contributions to the scientific community, has passed away of natural causes at the age of 85. As a leading expert on the health effects of electromagnetic radiation, Dr. Blank was a strong advocate for the use of science to create a better and healthier world. Throughout his lengthy career, Dr. Blank published over 200 papers and reviews, authored numerous books, held appointments at 11 leading universities around the world and the US Office of Naval Research. He also organized and led many meetings, including two World Congresses on Electricity and Magnetism in Biology and Medicine, and he started the Gordon Research Conferences on Bioelectrochemistry. He has been Chairman of the Organic and Biological Division of the Electrochemical Society, President of the Bioelectrochemical Society, President of the Bioelectromagnetics Society, and has been on editorial boards of Journal of the Electrochemical Society, Bioelectrochemistry and Bioenergetics, Electromagnetic Medicine and Biology. In 2014 his book, “Overpowered” (7 Stories Press), which summarized his findings regarding the potential dangers of electromagnetic radiation, was published. Scientific analyses show industry funding can and does influence research on radiofrequency radiation. Please take the time to review each of these studies and to review the documentation provided by experts. We also hope you will read the Harvard Press Book “Captured Agency: How the Federal Communications Commission is Dominated by the Industries it Presumably Regulates” by Norm Alster on the financial ties between the US federal government’s Federal communications Commission (FCC) and how, as a result, the wireless industry has bought inordinate access to—and power over—a major US regulatory agency. Read that here. Hardell, Lennart. “World Health Organization, radiofrequency radiation and health – a hard nut to crack (Review).” International Journal of Oncology, vol. 51, no. 2, 2017, pp. 405-13. Special thanks to Jennifer for this excellent review of Arthur Firstenberg's book. 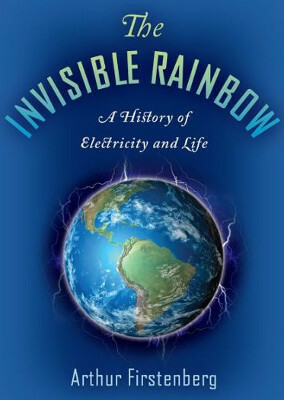 The Invisible Rainbow: A History of Electricity and Life, by Arthur Firstenberg, is not only a marvelous opus. It is one of those once-in-a-millennium books that turn into classics. Easy to read, hard to put down, sublimely poetic and scientifically rigorous, with a bibliography almost one-third the size of the book itself, this is a history of electricity which has never been told. It's not only that it has been written from an environmental and biological point of view; nor that it's mostly unspoken reverence for life is so understated that its power is hard to resist. In the end, the power of this book lies in the meticulous care with which the author has done his research, corroborated his data and revealed his stunning findings. We rediscover not only the ancient Chinese Yellow Emperor's Classic of Internal Medicine but western doctors and scientists from the 1700s to the present day: what they've had to say about electricity, how it has been harnessed, and which direction it has taken in the west and in the east. We meet Yuri Grigoriev, first assigned to research the biological effects of atomic weapons at the Institute of Biophysics in the former Soviet Union before going on to write a book about the dangers of microwave radiation from cell phone use; Dr. Gro Harlem Brundtalnd, three-time Prime Minister of Norway and former head of the World Health Organization who banned cell phones from her office for health reasons; and Dr. Samuel Milham, who showed that rural electrification caused a shocking increase in cancer rates during the 1950s. 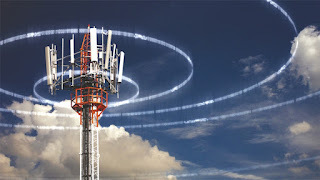 I have been circulating abstracts of newly-published scientific papers on wireless radiation and electromagnetic fields (EMF) about once a month since August, 2016. Several hundred scientists around the world receive these updates. Phonegate Alert submits new comments on the peer review of the National Toxicology Program’s draft technical reports on cellphone radio-frequency radiation. In March 2018, the external peer scientists reviewers strengthened the conclusions of the NTP reports that found clear evidence of health harm from exposure to cellphone radiation in rats. The scientific knowledge of the potential impacts of cellphone radiation on our health and the health of our children should no longer be ignored. Especially in the context of a complete bankruptcy of the international regulatory system at the origin of the Phonegate health and industrial scandal. 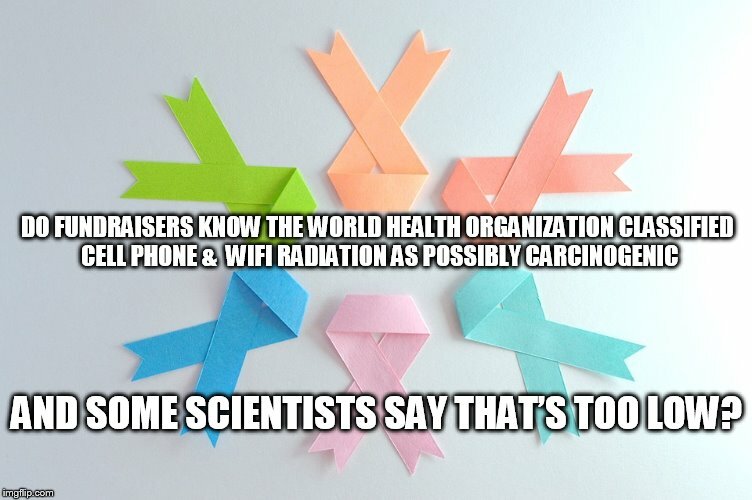 Do Cancer Research Fundraisers Know That The WHO Classified Cell Phone and WiFi Radiation as “Possibly Carcinogenic” in 2011? I think most of us are glad that there are people trying to solve or at least reduce all of the world’s problems. Cancer is one of those problems. Research has determined that people and animals get cancer for many different reasons. Decades before it was finally publicized, there was plenty of research that had proven smoking caused cancer and other health issues. However, “Big Tobacco” paid for research that said it didn’t. Many people – including scientists, medical professionals, elected officials, and government employees – went along with this for decades. 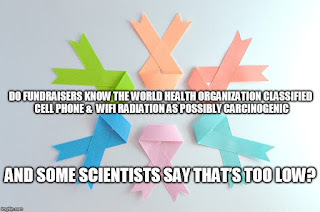 In 2011, The World Health Organization stated that research had proven all sources of cell phone and WiFi radiation are Possibly Carcinogenic. Many scientists claim that research has proven it is actually Carcinogenic. 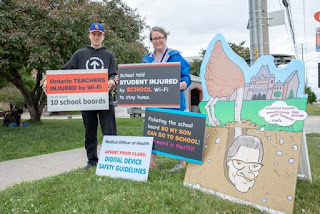 WORCESTER – While disappointed in a federal judge’s ruling against his clients last week, the attorney representing a family who sued a Southboro private school over its WiFi practices said on Tuesday the case still represents a legal step forward for people wary of electromagnetic radiation. 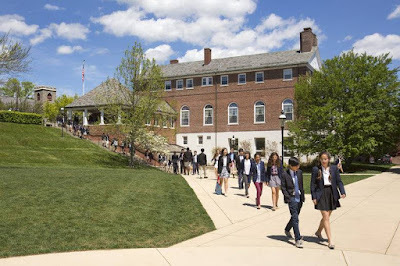 John Markham also said his clients haven’t ruled out an appeal in their case, which ended Friday when District Court Judge Timothy S. Hillman submitted a judgment in favor of the Fay School, a day and boarding school. 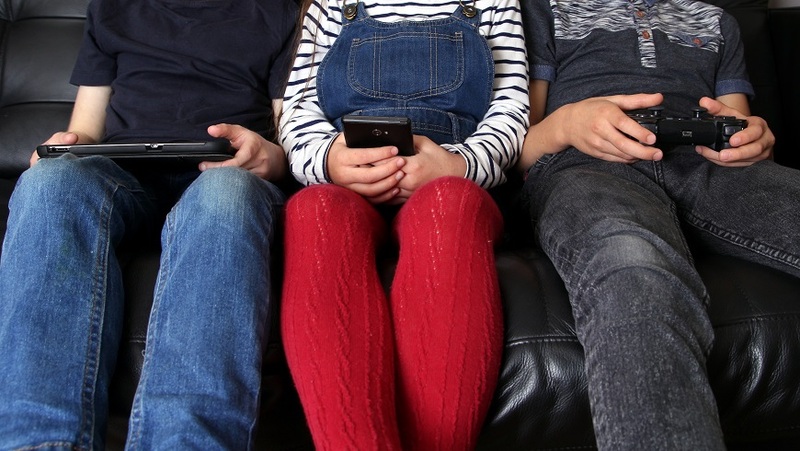 Today, June 12, 2018, the confidentiality clause was established at European level, included in Directive 2014/53/EU for all mobile devices at risk to human health (mobile phones, tablets, laptops and connected toys for children…). This has taken place at the same time as the European directive on business secrecy is in the process of being adopted by the French National Assembly and the Senate despite exceptional citizen mobilization. To mark this black day, Dr. Marc Arazi, President of Phonegate Alert, and Mr. Jérôme Karsenti, lawyer at the Paris Bar, cosigned this opinion piece, published on the guest blog of Mediapart on 11 June 2018. Read the article and please relay widely to those around you. Marc Arazi and Jérôme Karsenti denounce the entry into force of the confidentiality clause of the European directive which allows « the manufacturers of mobile devices to benefit from total confidentiality for products they will place on the European market that may be a risk to human health ». WORCESTER – A federal judge has issued a final decision in the case of a family who claim their son was sickened by the WiFi signal in his classroom, ruling on the side of the Southboro boarding school that was targeted in their lawsuit. In a previous ruling nearly a year ago, District Court Judge Timothy S. Hillman rejected the majority of the family’s case alleging that the Fay School was culpable for not doing enough to accommodate the student, who they said suffers from a controversial condition known as Electromagnetic Hypersensitivity Syndrome. In his latest order, issued Friday, Judge Hillman dismissed the last remaining count, which alleged the school had retaliated against the family, according to court records. I admire the French. Not simply for their fantastic food, their joie de vivre or their working conditions but for their no nonsense attitude to government policy. Never has this admiration been greater felt than when I heard they had banned mobile phones in school; and I hate mobile phones. Mobile phones are the bane of teachers’ lives. They have been proven to distract people who are simply sitting near them, allow secret communication that enables bullying and gets in the way of so much of the good work that can be achieved in schools. I must admit that there is a tinge of hypocrisy here. I find it exceptionally hard to pry myself away from my phone. Whether it’s WhatsApp, instant news or the social media car crashes that populate my Twitter feed, I am an addict. But isn’t this precisely the point? 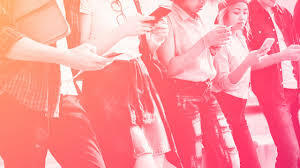 If us adults cannot focus with our phones so readily available to provide distractions from otherwise interesting or important matters, then how can we expect teenagers to? I am lucky to work in a school where they are banned in the building so I don’t have these distractions preventing the students from making the best use of their time at school. Others do, and this adds to the list of things making their jobs far too difficult. The Commission for Transport and Telecommunications (TTC) of the National Council has taken the upcoming detailed consultation on the revision of the Telecommunications Act as an opportunity to start a large-scale assault again on the existing radiation protection limits for mobile stations. Over the last 16 months, this has already failed twice with the "NO" of the Council of States. 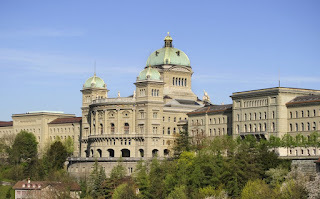 The Commission has held consultations with business associations, such as ASUT [Swiss Telecommunications Association], the leading association of the Swiss telecommunications industry, and now wants to write a letter to the Federal Council to receive detailed advice on the new FM law in July. 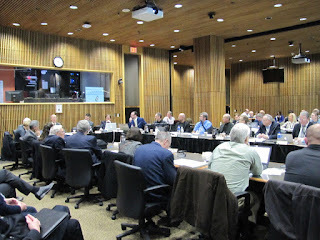 Contrary to all democratic practices, the Commission did not consider it necessary to hear organizations interested in electrosmog. Gigaherz also wrote a letter to the Federal Council, [extracts of which] can be read below. 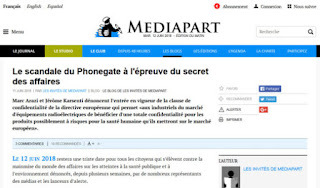 On June 8, 2018, the site « Le Lanceur” published a new article on the industrial and health scandal of Phonegate. It is the seventh article in 18 months that it has devoted to this public health issue. In December 2016, it was the first media to relay the alert launched by Dr. Marc Arazi. A big thank you to the editorial team and the journalist Antoine Sillières for their investigative work. It is also the only media for the moment to have made the link to our action following the withdrawal and updates of four new mobile phones. It must also be noted that public broadcasting has been totally absent for months with regard to this affair. Why? In any case, certainly not for not having received our press releases regularly and trying to contact them so that the newsrooms (France2, France3, FranceInfo, France5, RadioFrance, …) inform the tens of millions of users of mobile phones of the danger to their health. 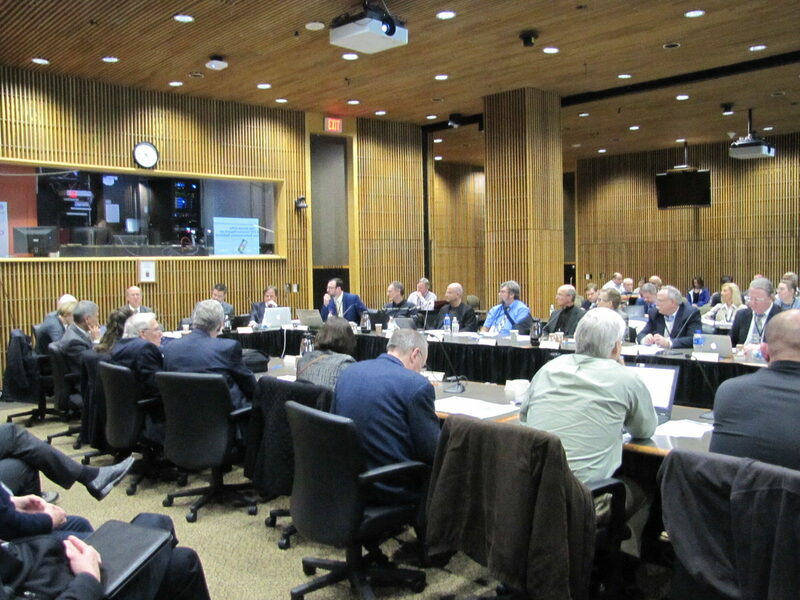 Last year, the parliamentary group on non-ionizing radiation (PG-NIS) formed in the Federal Parliament. It addresses the increasing health risks of electromagnetic fields in mobile services and power applications. The catalyst for the formation of this group was the efforts of the mobile communications industry to relax the current limit regulations. Co-President Thomas Hardegger worked to ensure that interested members of the group could be loaned a measuring device during a meeting in the Federal Parliament. The devices can record mobile radiation and also identify their source. We have added below the letter sent to the European Commission. 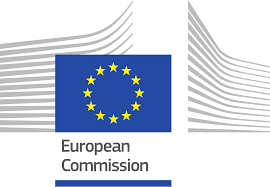 We are sharing this letter from the European Commission in reply to the query of a concerned person regarding the rollout of 5G in Europe. Read also the EC's response to the September 2017 International Scientist Appeal calling for a moratorium on 5G. Thank you for your e-mail dated 11 May 2018 to Commissioner Andriukaitis' Cabinet assistant Egidijus Dapkus on the status of 5G deployment in Europe. Your e-mail has been forwarded to the Cabinet of Commissioner Gabriel, who asked me to provide you with a reply. Let me first inform you on the 5G Action Plani , which the Commission adopted in September 2016. It is setting Europe's strategy to reach ambitious connectivity targets, in particular to cover cities and major transport paths with 5G networks. The strategy calls on Member States and stakeholders to take the necessary actions enabling Europe to lead in technology, deployment and take-up of 5G. 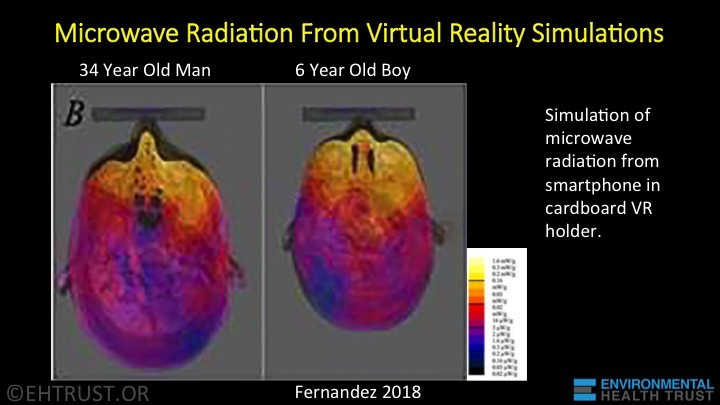 This publication is the first to extend FDA computer-based anatomical modeling used for surgical devices to examine absorption of microwave radiation from cell phones held in virtual reality positions. The researchers also investigated microwave radiation with the phone at ear contact. They found that a 3-year old child absorbs about twice as much radiation into the cerebellum, and up to thirtyfold more into the hippocampus–the part of the brain central to memory, emotions, and impulse control. 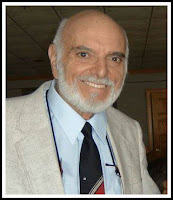 Dr. Arazi is a French physician who has become a real crusader for cell phone and EMF safety. After months of legal action, he found out that the tests by the French National Frequencies Agency (ANFR) show that 90% of mobile phones that are already quite obsolete exceed the radiation limits. Top mobile firms are warning ­shareholders about the potential health risks of phones but keeping the information from customers. 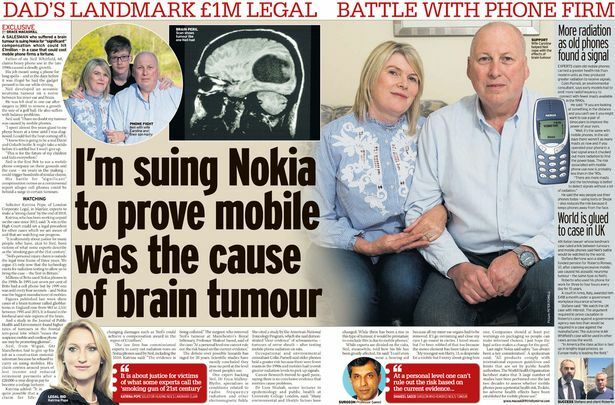 Companies including Blackberry, EE, Nokia and Vodafone have told investors they could face legal action from device users if research eventually finds links between their products and cancer. Yet they fail to warn users of any potential risk in their ads and packaging. 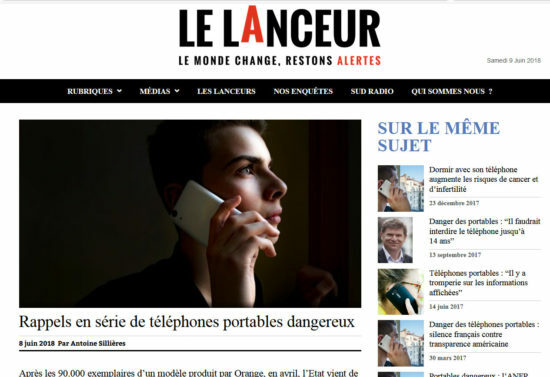 Yesterday, 31 May 2018, the internet site of the newspaper Le Monde published an article entitled « Ondes magnétiques : quatre smartphones épinglés ». This article written by the journalist Nicolas Six raises the issue of editorial independence when it comes to subjects relating to the mobile telephony industry. For the record, the title had been purchased in 2010 by businessmen Xavier Niel (Iliad/Free Telecommunications Group), Matthieu Pigasse (CEO of Lazard Bank France) and Pierre Bergé. Since Pierre Bergé’s death in 2017, Mr. Niel and Mr. Pigasse have held 72.5% of the capital of the Le Monde group. Switzerland: What Frequency for 5G? Thank you to the journalist and consumers' group in French-speaking Switzerland, Bon à Savoir (400,000 readers) for having published this excellent article in their magazine, "Ma Santé". We are glad that this message will reach a large part of the Swiss population. COMMUNICATION The forest of antennas required for deployment of 5G worries Swiss doctors. The Council of States has heard them but not the operators or Doris Leuthard. Broadband is not a meaningless word. 3G, which has taken off at the same time as the twenty-first century, grew at a steady pace. 4G, which followed ten years later has plunged us directly into the immediate at home and in the street via our smartphones: sending photos, videos and selfies all over the world, streaming sound and music nearly without interruption, conversing just about everywhere via Facebook or WhatsApp, access to services like Uber and Airbnb etc. - to such an extent that it has tried our patience and made us look with envy at the following generation, 5G announced for 2020 and supposed to be 100 times faster. This will not only allow the connection of billions of devices (farming, appliances, industrial sensors...) but also open up a safe route to autonomous cars, telemedicine, real-time energy management, etc. Good article on the first recall of a mobile phone in France in early April for exceeding the European regulatory SAR trunk value of 2 W/kg. The Hague should conduct an independent public inquiry into the health effects of breathing toxic cabin air on planes, says a group that claims to have the support of 2,500 “victims” of so-called aerotoxic syndrome. 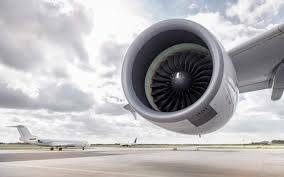 The Aerotoxic Association is calling for the International Criminal Court in the Dutch city to hear evidence both for and against the theory that “bleed air” used to pressurise the cabins of passenger aircraft has been contaminated with chemicals such as engine oil and is hazardous to the health of crew, passengers and pilots.